Established in 2001 patternreview.com boasts a membership of over 200,000 people from around the world. The site began its life as a place to collect people's experiences of and opinions about sewing patterns. The site has expanded to include expert forums, real-time chats, sewing contests, online sewing classes and more. Although it is a membership site (free and paid available), it is possible to browse as a guest. As at May 2010 there are nearly 70,000 reviews in the database. Sew Mama Sew is an online fabric and pattern store, blog and forum rolled into one. The many thousands of posts in the forum, are the first indicator that this site attracts a huge following. Sew Mama Sew regularly posts fabulous reviews and tutorials, as well as hosting themed months and sew-alongs. Taunton Press, publisher of reknown sewing magazine Threads, is the host of Craftstylish. Whilst not exclusively a sewing community, you will find hundreds of relevant posts once you look at the Sewing category. The website is described as being "a place to connect, discover and share with other crafters" and a "destination for fabulous inspiration and expert instruction on the latest trends, projects, ideas, and materials". Members can also showcase their work and post tutorials. If you like internet TV you will love ThreadBanger. Branded as "the home of DIY fashion how-tos, home décor tips, and more", the site offers regular episodes that can be accessed at the site or by RSS subscription or podcast. With a contemporary, edgy blog and a forum with thousands of members, there's plenty to see and do here. Burdastyle is the brainchild of pattern company, Burda. One of the greatest drawcards of this hub is concept of "open source sewing" - or copyright free patterns. The site provides patterns for download, sewing tutorials, discussions and places to share projects. Patterns and tutorials are shared by Burdastyle and its 349,720 members alike. The great sense of community extends to the 240 "real life" BurdaStyle Sewing Clubs (BSCs) throughout the world. My Sewing Circle is the new kid on the block, having only been launched in February of this year. Its a place to organise your fabric stash and tools, browse fabrics and patterns, show off your projects and admire the work of others (for anyone who is a knitter or crocheter, the site was inspired by Ravelry.com). The community and its features are in their infancy, but it looks promising. To access the site you need to be a member, but membership is free. I'm loving these posts of yours! Very handy. I'm off to join 'my sewing circle'. Thanks for more great links Liesl! You have saved me so much trouble...I have been trying to make my own pattern for a young boy’s bow tie, and after some guestimating shape etc, then trying prototypes on my 3 ¾-year-old squirming son, the last one looked pretty good, but it was going to be hard work putting the darn thing on every single time…anyway…thanks to your links, I have found a Free Velcro Bow Tie on ‘One pretty Thing’ that looks just right! Hoping to see you at the show next weekend! Great post! Thanks for visiting my blog. I'm going to come back to yours with a nice cuppa and have a good read. Hiya! 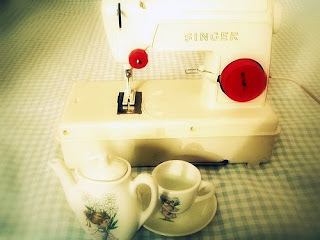 Just read your post and thought I would mention Sewing Mamas as well. It is a sewing forum with free and paid memberships and boasts heaps of free patterns and tutorials as well as a wealth of sewing knowledge from amongst it's members. I love it there and appreciate the fact that there are so many different people from different walks of life with one (or many) passions/hobbies in common.